Rose E. Krantz, age 74 of Massillon, passed away Tuesday, November 27, 2018 . 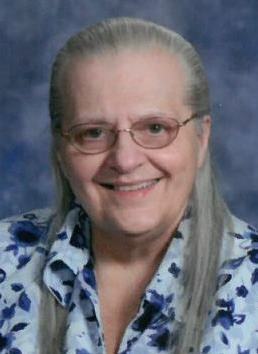 She was born August 12, 1944 daughter of the late Carl and Mildred (Sumser) Krantz Sr.
Rose retired from St. Mary's Catholic Church where she taught grades 1 and 3 and advanced math and science for 47 years. She also served as St. Mary's bookkeeper. Rose is survived by brothers Dr. Carl (Kathy) Krantz and Tom (Nancy) Krantz and her sister Bev Affolter, and P.J. (Bethany) Chavez, Miguel (Kristen) Chavez, nieces, nephews, great-nieces and great-nephews. Calling hours will be held on Sunday, December 2, 2018 from 2 to 5 P.M. at Heitger Funeral Home, Massillon Chapel. Mass of Christian Burial will be held on Monday, December 3, 2018 at 11 A.M. at St. Mary's Catholic Church. In lieu of flowers donations may be made to Stark County Humane Society.